You could tell from the place that it has been around since 1902 with that old school, early 20th century vibe. But the entire place was packed with people of all ages, and we had to get in line to get a table (although the line moved fast). 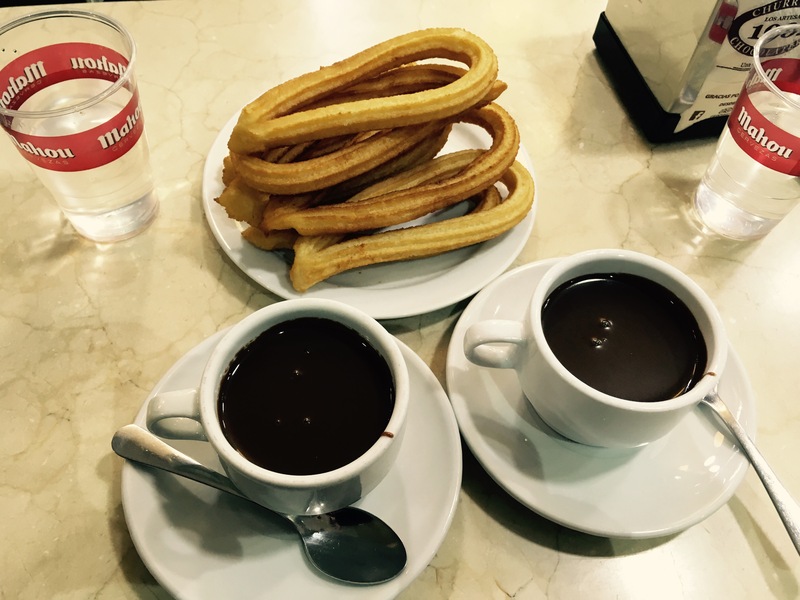 So we felt that this was the right place for churros and hot chocolate! 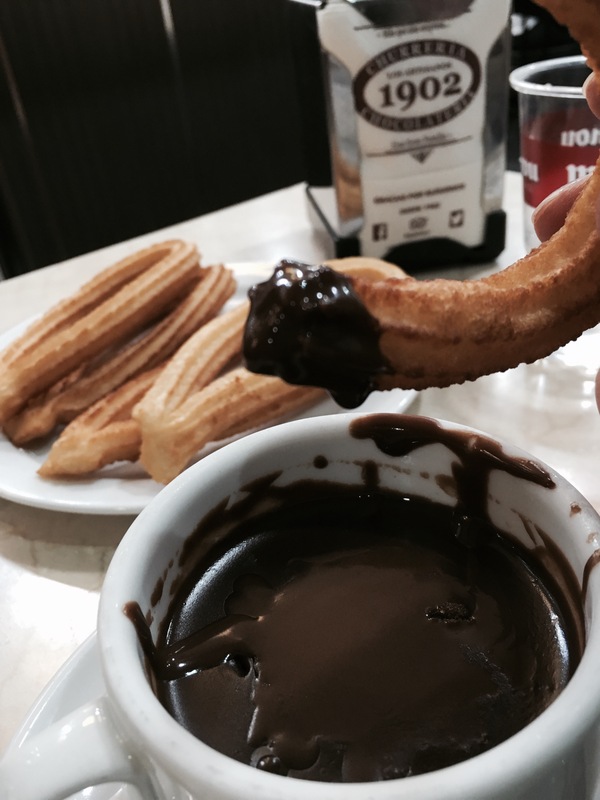 Once we got seated and had our waters, the server asked us, “Churros y Chocolate?” Of course! He guessed it! The churros are baked on the premise, and you get them straight from the oven. The hot chocolate has the nicely thick texture that’s perfect for dunking. The chocolate had a lighter consistency than I had thought because it looks heavy, especially when you dunk the churro into it. It wasn’t too sweet as I had thought either. Warm, tasy and enjoyable! 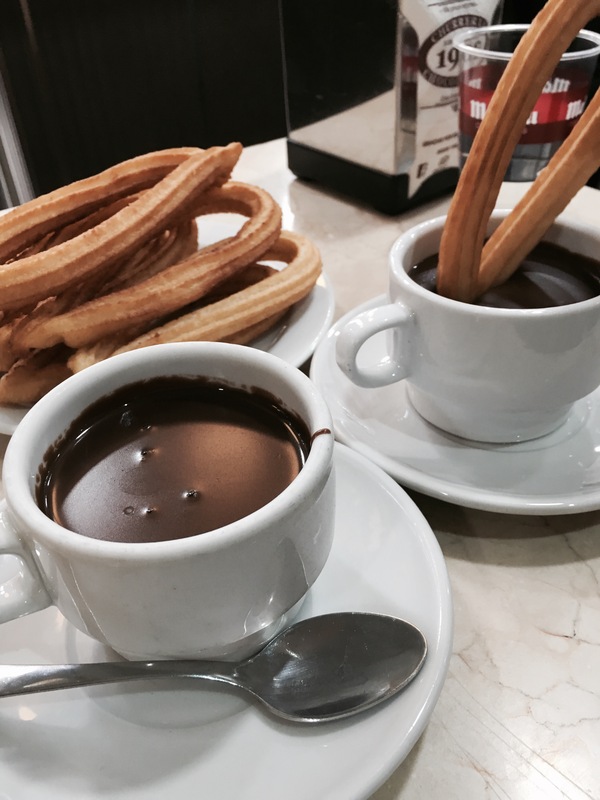 No doubt that we could not have left Madrid without trying the churros with hot chocolate. I know we would had regretted. Come to La Churreria Chocolateria Los Artesanos 1902 the next time you’re here, especially if you have a sweet tooth! All images and content © 2016 Carol Vu, unless otherwise indicated. Oh noooo, now I’m going to dream of this heavenly treat!! LOL! Exactly, and that’s what has happened to me now!